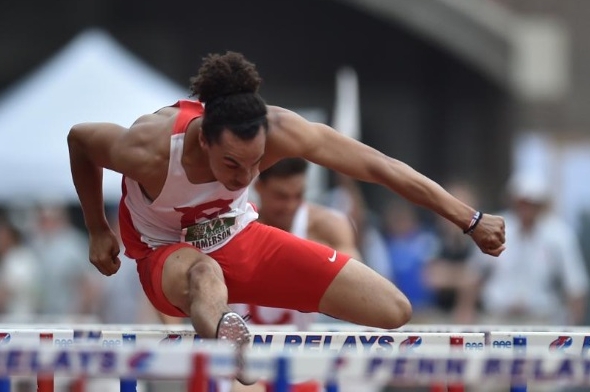 It would be a major surprise if another athlete besides Cornell’s Austin Jamerson wins the decathlon this weekend. We don’t mean to slight the other athletes, but on paper, Jamerson is the favorite. He’s the top returning scorer from last year’s Outdoor Heps (7,070 points – among the top-10 all-time) and the Indoor Heps heptathlon champion. Jamerson is ranked in the top 10 of the conference this season in the long jump (2nd) and high jump (tied for 4th) and is also a strong hurdler. Of his main competitors, Jamerson has the fastest 1,500m time. At the 2016 Indoor Heps, Jamerson was pushed by two athletes – Dartmouth’s Nico Robinson and Princeton’s Jake Scinto. Robinson did not compete at the 2015 Outdoor Heps due to injury. He is a stronger sprinter, thrower, and pole vaulter than Jamerson, and is on par with the hurdles and long jump with Jamerson is season. Robinson competed against Jamerson earlier this year in the decathlon, but Jamerson finished 121 points ahead of Robinson – 6,987 to 6,866 points. Indoor Heps was Scinto’s first mutli-event performance and he led at the end of Day 1 competition before Jamerson had better showings in the hurdles and pole vault than Scinto. We’re not confident that Scinto will compete in the decathlon this weekend as he has yet to participate in all disciplines in a meet setting. Princeton should not be dependent on Scinto’s participation as they have Bryan Oslin, the 4th place finisher from last year, and James Burns. Both of these men have completed a decathlon earlier this season. Harvard’s Mark Hill is also a returning scorer from last year’s Outdoor Heps. Dartmouth will also be looking to rookie Benjamin Ose and Matthew Sindelar for scoring. Penn had Luke Knouse complete the decathlon last week at the Penn Relays. Can Knouse recover in time to complete a second decathlon within a 2 week span? The heptathlon title may be a closer affair as we anticipate Harvard’s Madison Hansen and Princeton’s Taylor Morgan to battle throughout the women’s two-day event. Hansen is the defending Outdoor Heps champion and conference record holder (she just missed out qualifying for NCAAs last year as she was ranked 17th nationally and only the top 16 make the cut), while Morgan is the two-time Indoor Heps pentathlon champion. When you compare these athletes, Hansen is the faster on her feet due to her better times in the hurdles, 200m, and 800m, but Morgan is the stronger thrower and high jumper. They are about even in the long jump. They have battled earlier this year at the Texas Relays where Hansen edged out Morgan by 21 points – 5,245 to 5,224. Morgan set a new heptathlon personal best at that meet while Hansen has previously scored 5,506 points at this meet last year in Philadelphia. 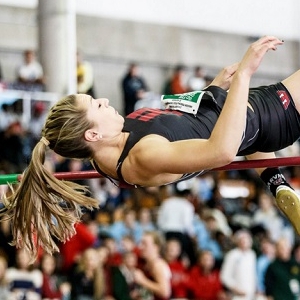 Harvard is also looking for a high podium finish for Allison Morrison. Morrison has been a reliable scorer for the Crimson and will be going into her final Outdoor Heps with a strong third place seeding as she set a new personal best a few weeks ago of 5,042 points. Penn’s Noel Jancewicz – the 2015 Outdoor Heps runner up – has a similar personal best in the heptathlon, but she has yet to participate in all disciplines this season prior to Outdoor Heps. Jancewicz is a strong high jumper, like Morgan, so she it is possible that she could focus on the individual event rather than all seven. We will see once the entry lists are posted later this week. Dartmouth’s Allison Frantz is a returning scorer from last year and Indoor Heps. Princeton will be looking at Kerry Krause to finish in scoring position to help in the overall team competition. Brown has two athletes – Heather Sweeney and Carly Paul – who enter Outdoor Heps among the top 6 in the conference rankings. This entry was posted on Wednesday, May 4th, 2016 at 3:00 pm. It is filed under Heps Champs, Men, Spotlight, Team Previews, Women. You can follow any responses to this entry through the RSS 2.0 feed.